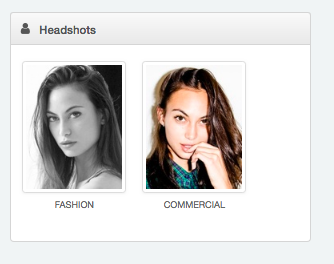 Create a new headshot from any image in a talent's gallery. Go into the Talent Profile for the talent whose headshot you wish to set. Click on their Galleries tab. Select which Gallery you would like to create the Headshot from (you can select from Archived or Published Galleries to create a Headshot). Once in the selected Gallery, click on the image you would like to use as the Headshot. It will open in a pop up window. To create the Headshot crop, click on the headshot button in the toolbar below the image. If the Talent has been assigned to multiple Divisions, you can select which Division you would like the headshot set for. 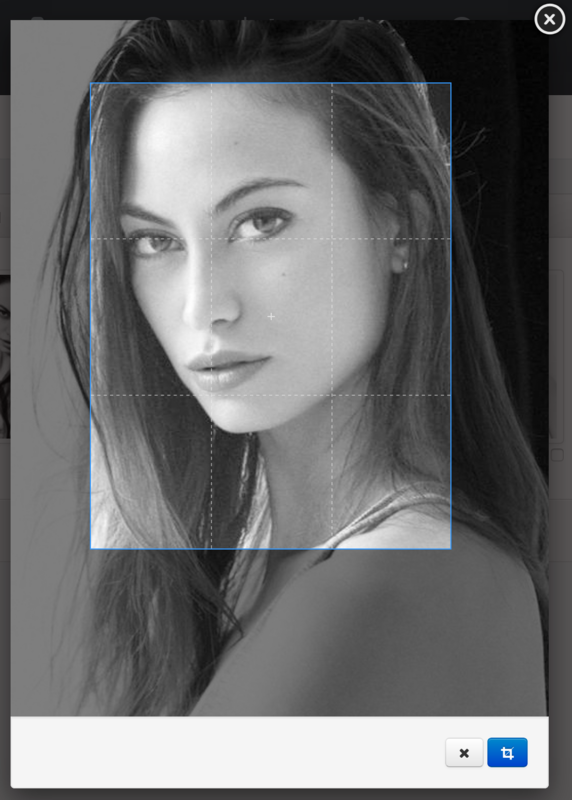 The pop up window will refresh, displaying a blue crop area representing the bounds of the headshot image. You can zoom in and out of the image by using the scroll wheel (or center strip, if you are using an Apple Magic Mouse) on your mouse. 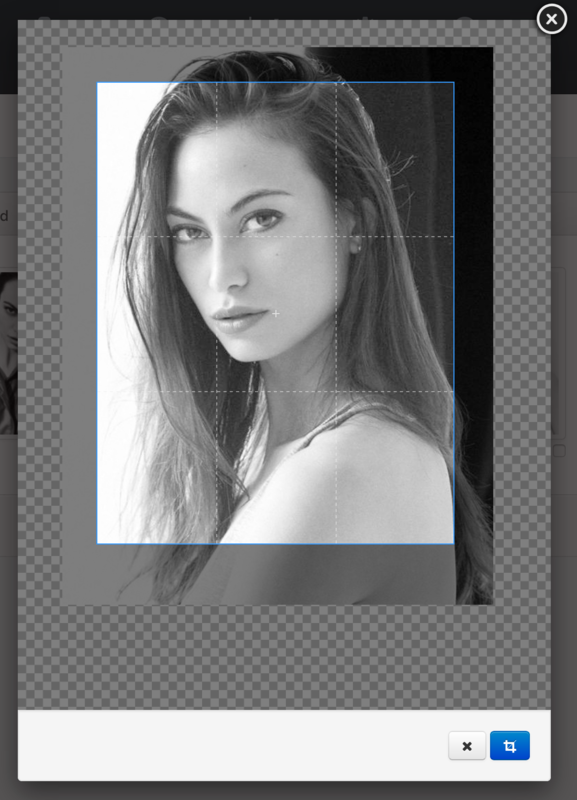 Once you have zoomed and moved the crop area to suit, click the blue Crop button to create the new headshot image. You can see the new image updated in the Headshots box on the left side of the Talent Profile.